“Serving those who serve us is both an expression of thanks from a grateful nation and a fitting tribute to our military heroes who inspire us to a cause greater than ourselves,” said Carolyn Blashek. I think Blashek, the founder of Operation Gratitude, accurately summed up the feeling of the founders and volunteers with each of the amazing nonprofits below. After 68-year old Shari Duval’s son returned from a tour of duty in Iraq, he was suffering from Post Traumatic Stress Disorder (PTSD). Shari noticed that despite the trauma, he could still be himself and even be happy when he was around dogs. It took his mind off things. 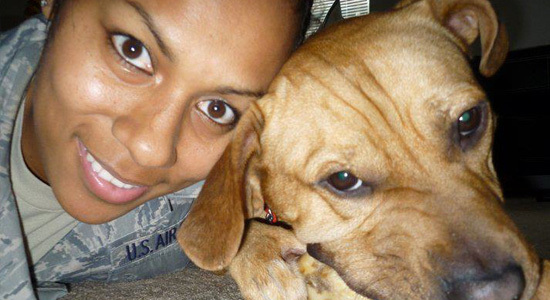 That gave Shari the idea to start K9s for Warriors. 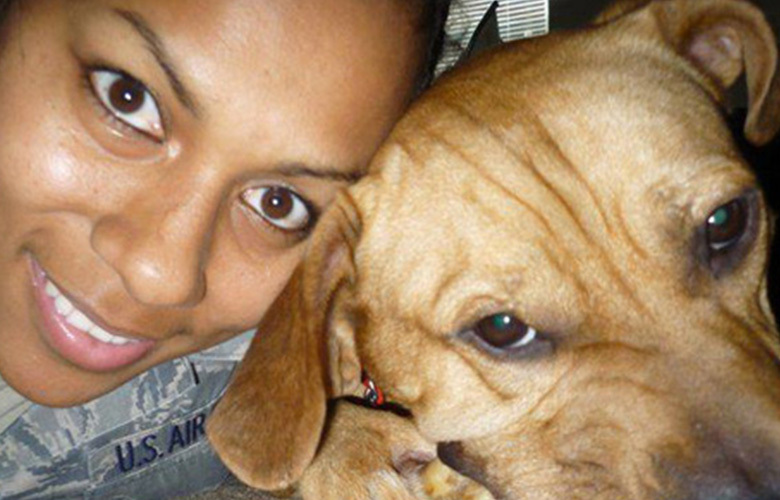 Shari spent 2 years researching canine assistance for PTSD before starting the nonprofit in 2011. The organization rescues dogs from shelters and trains the dogs to be service dogs for veterans with PTSD. Veterans spend 3 weeks training with a service dog at a property Duval owns in Florida. Other than getting to and from Florida, the nonprofit covers all expenses for the veterans. Like other veterans who have received a service dog from the program, Sergeant Scott Young said this has changed his life. “Every day I would wake up and think about suicide. That was the first thought in my head,” he said. “Now, everything has changed.” Scott thinks about the future and is more comfortable leaving his home. In 2005 Dan Wallrath, a retired home builder, was introduced to a family who needed their home remodeled. The family’s son had sustained head injuries in combat, and was coming home to live with them. Dan went over to their home believing he would tell them he was retired but would try to advise them. When Dan visited, he realized that the family’s home wouldn’t accommodate a wheelchair and that the family had financial strains that were already causing a burden and would make home remodeling impossible. So, Dan got a group of builders and suppliers in the area together and did the work for free. Since then, the nonprofit has built more than 86 custom, mortgage-free homes for wounded soldiers in 17 states and 44 more houses are under construction across the country. Builders, developers and building suppliers can help in their local areas. With his combat pay and two friends pitching in their disability checks, Eric founded The Mission Continues to empower veterans to serve their country through community service. Since then the organization has awarded over 700 service fellowships to veterans. The fellowships include 6 months of work at a nonprofit organization as well as training. The Mission Continues also puts together Service Platoons to work on local community service projects. Returning veterans often have a difficult time integrating into civilian life and miss the camaraderie and strong sense of purpose that they had in the military. The Mission Continues restores that. It’s not a charity. It’s a challenge. Check with the nonprofits in your community about hosting a fellow. Volunteer on one of their service platoons. In July 2005 extremist members of Westboro Baptist Church planned to protest a military soldier’s funeral in St. Joseph’s MO. Hoping to help, a local motorcycle group made a ride to shield the family and counter the planned protest. Shortly after that ride, there was a nationwide call for riders to protect military families from funeral protestors. This was the birth of the Patriot Guard Riders. The group has no paid employees. 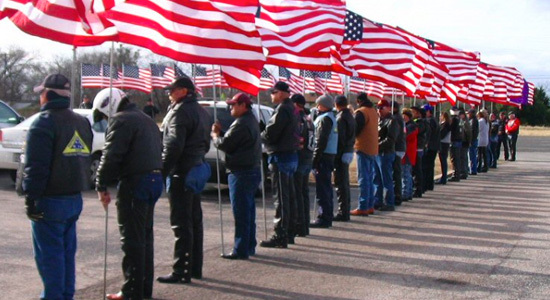 Via their web site, Patriot Guard Riders have mobilized over 300,000 riders who respond to online updates about military funerals for which a family member has requested the group’s presence. They provide support and shield families from protestors. Walt Fricke (pictured above) was wounded in Vietnam and spent 6 months recovering about 700 miles away from family. He said he didn’t start doing well until his family could scrape together the money to come visit. When Walt retired from banking in 2006 he thought about what he should do with the rest of his life. Walt decided he would ensure newly returning veterans didn’t suffer from the problems he had as a wounded soldier. Walt would enable wounded veterans to travel to see their families. 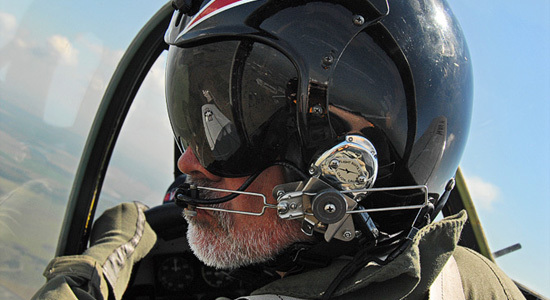 It began with a veteran who needed a flight from Georgia. Walt called a pilot friend who lived nearby and the friend made the first flight. Within a week, 40 of the pilot’s friends had signed on. Travel requests come in online and are coordinated online with the over 1,500 volunteer pilots. Private planes are especially important because wounded veterans often need accommodations that you can’t get on commercial airlines. As Walt said, “This is more than a ride and buying them a ticket. It is a relationship. Wounded warriors come back and say I feel the love of America.” His organization is treating these folks in a way that they ought to be treated and honored. If you’re a pilot and have a plane, you can fly. It was 2004 when Mark and Tori Baird got a knock on their door from a Marine who returned from Iraq that day. While he was serving, the Marine’s wife had been laid off, and their electricity was just turned off. The soldier was wondering if the Bairds had any jobs around the house he could do for the $100 he needed to get his electricity turned back on. Mark offered the Marine $100. 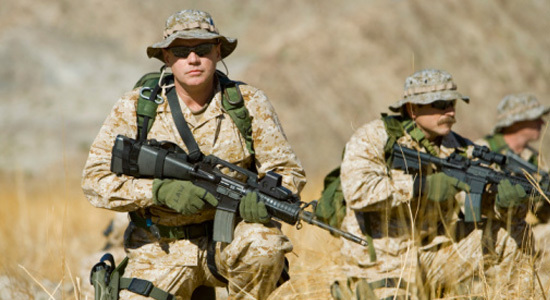 The Marine refused to accept charity, so Mark found him work around the house. 5 hours later, the Marine left with $100, and “Hire Marines” was born. This was a job board Mark created to help Marines find odd jobs. The site took off and Mark and Tori eventually received a call from the Admiral of the Navy who wanted to see if sailors could also use the service. Mark said, “yes,” and the business was renamed Hire Patriots. Hire Patriots is a job board where veterans can find full time jobs as well as odd jobs to earn extra money. The odd jobs can make the difference for veterans being able to pay their bills and feed their families. Although the site has filled over 100,000 jobs, it’s about more than just finding jobs. It’s about changing lives. Veterans have trouble finding jobs and having a job and the ability to care for yourself is important to fitting back into civilian life. There are never enough jobs for the military personnel on the site. Look around your house. What do you need done? Then post the job on Hire Patriots and give back to those who have given so much. Plus, you’ll get someone who knows how to get a job done. That got Carolyn Blashek thinking about what she could do to support the troops. She said she thought about how when her kids were younger and used to go off to summer camp she sent them care packages to remind them of home, and she decided to do that for soldiers. She began in November 2003 by asking friends and neighbors for donations and help, and her entire home quickly became a staging area covered with packages. Due to security regulations she needed to send packages to specific soldiers, so she collected hundreds of names. When she uncovered the private email of a Lieutenant General, she sent a note saying that she’d send all of his troops care packages if he emailed her their names. The Lieutenant General replied that “she didn’t know who he was, and that he had 37,000 troops.” She replied that the Lieutenant General didn’t know who she was, and that she would do it. The rest is history. Operation Gratitude became the largest civilian care package group in history and now has an armory provided by the National Guard as a packing and shipping center. They send each package with a personal note to Members deployed in hostile regions, to their children left behind and to Veterans, First Responders, Wounded Warriors and their Care Givers. 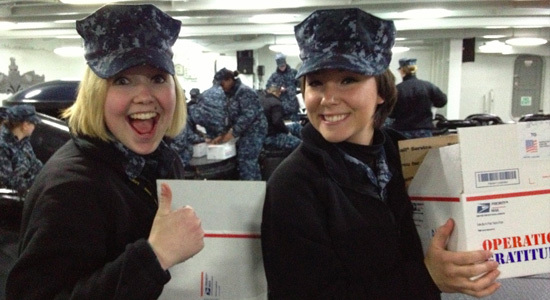 Write personal letters (each care package contains one), donate items and hand-made scarves and paracord Bracelets. Everyone wants their wedding to be perfect. 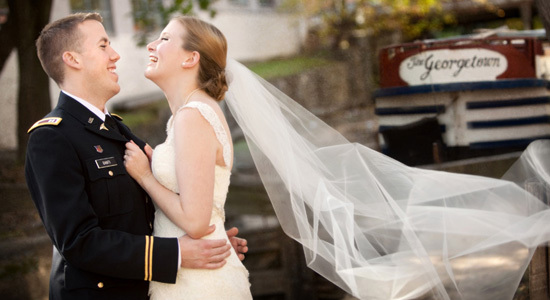 Heidi Janson helps make that dream come true for Veterans or their fiancés, who often have financial constraints that keep them from getting bridal dresses. Heidi, who owns a bridal store, decided to start her nonprofit after reading about a Navy SEAL’s day in the war zone. She said, “I thought…how lucky are we to live so comfortably when every day our troops put themselves in harms way.” She reached out to 5 other salon owners and organized a 2-day dress giveaway and distributed 50 gowns. To date they have given away over 10,000 gowns and added over 50 other salon owners to their nonprofit. Donate used or new dresses. Linda Spurlin-Dominik and Carol Olmedo were horrified when they discovered that military service members leaving for a deployment often had no one to care for their pets and had to bring their beloved companions to the pound. Those pets were sometimes euthanized and rarely, if ever, still at the pound when the soldier returned home. So Linda and Carol started Guardian Angels for Soldier’s Pet in January 2005. Since then the nonprofit has developed a network of over 2,600 foster homes across the country that help military members, who are going to be deployed or who are going through hardships at home, house their pets in safe, loving homes. I couldn’t imagine serving my country and not having the support available to ensure my pet was waiting for me when I returned home. Fortunately, Guardian Angels for Soldier’s Pet is trying to ensure service members no longer have to worry about losing their pets. 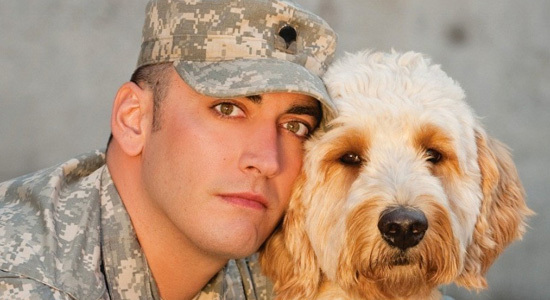 On top of that, Guardian Angels for Soldier’s Pet has just started a pilot program in Missouri and Texas training dogs to help soldiers with Post Traumatic Stress Disorder. Sign up to foster a pet. Guardian Angels for Soldier’s Pet needs state level volunteers to help with coordination efforts between military service members looking to place their pet(s) and the potential foster homes. In 2008, Carl Blum, a retired job recruiter, heard how hard a time veterans returning from combat were having finding jobs. So, he reached out to his friend Bob Deissig and founded Tip of the Arrow to help veterans find jobs. These two guys have spent the last 5 years of retirement placing or assisting in the placement of over 650 veterans. They’ve found high quality, high paying jobs for those veterans offering the veterans a purpose and hope for themselves and their families. Former First Sgt Chris Tomlin said that the Tip of the Arrow changed his outlook. 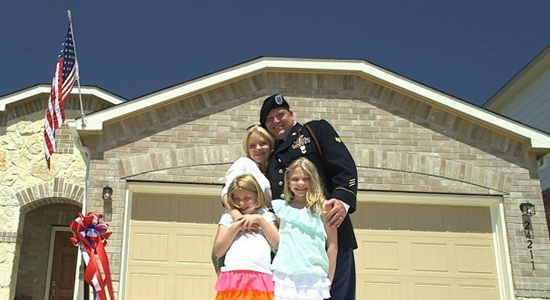 After returning from combat tours in Afghanistan and Iraq, First Sgt Tomlin needed to find a job to support his family and get back into the flow of civilian life. Like most veterans, Tomlin has great experience but needed coaching to put his experience into a civilian resume, introductions to companies that are friendly to veterans, and support. Carl and Bob both have backgrounds in employment staffing, and Bob is a highly decorated Vietnam War veteran. If you’re an employer consider veterans. If you’re looking to help, all of these organizations can use your financial support, and our veterans could also use your time and gratitude. Thank you veterans. We’re thinking of you and your families. 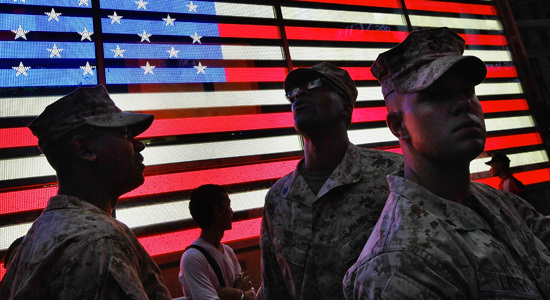 If you’re interested, here’s a list of things you can do to support our troops.